Someone went through the trouble of making clear (albeit Korean) labels on the wall depicting where tools should hang. This is often seen in prison tool shops, since it allows guards to quickly determine that all tools have been replaced (e.g. no one is smuggling a saw out of the wood shop). 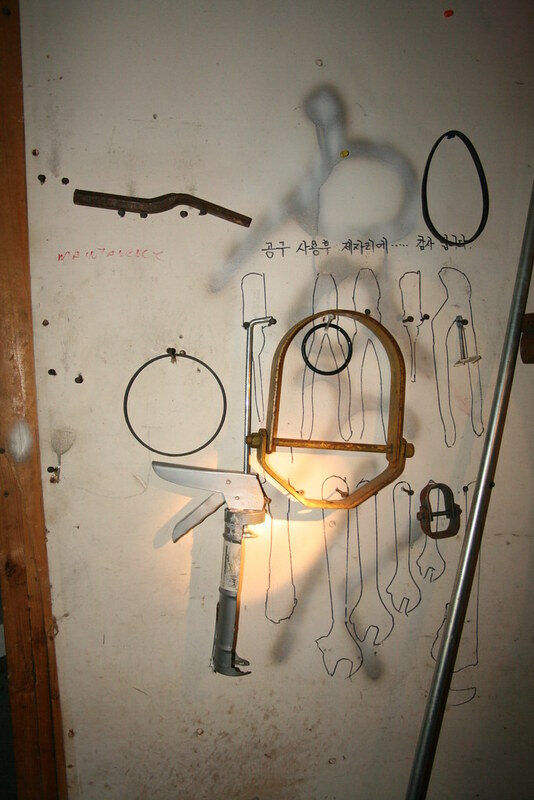 In this case, it was done to facilitate organization of the tools. Unfortunately, it's clear that the employees didn't follow the wall markings. A pipe hangar is instead hung where the pliers belong. Not a single thing is in its proper place.